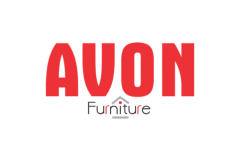 Business description - Avon Moldplast has been engaged in manufacturing of plastic molded furniture under the brand name of “AVON” since 2002. The company’s product portfolio includes Molded Chairs, Molded Stools, Molded Tables, Molded Baby Chairs and Baby Desks. The company has a fully functional manufacturing facility located at A-7/36-39, South of G.T. Road Industrial Area, Electrosteel Casting Compound, Ghaziabad 201009, Uttar Pradesh. The said facility also houses the Registered and Corporate Office of the company. Avon Moldplast IPO allotment status is now available on MAS Services' website. Click on this link to get allotment status.